It’s pretty easy but even cuter in person. The large “oh, HAPPY DAY” is raised up and the little “celebrate” is set underneath. So there’s a white layer on top of the white card, if that makes sense. So much more dimension and depth. 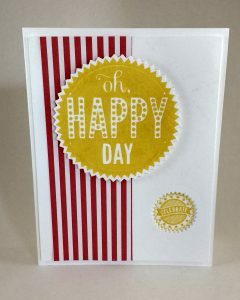 The red stripe paper is some DSP scrap that I had laying around – so fun! White cardstock base that’s 5.5×4.25″ that has the smaller stamped image on it. Second layer white that’s cut to 5.25×4″ that’s been cut with a matching thinlit die to the stamped image just over the stop where I stamped the image on the lower cardstock. This is a little tricky. I actually ran the top layer through the big shot to get the hole first and then carefully matched up where I would stamp the image on the card below before putting the cut layer over it. Foam strips on the upper layer raise it up so that it the image is sunken in… very cool. Designer Series Paper that’s cut 5.25×2 and adhered with Fast Fuse permanent adhesive. Stamped image that’s been cut out with a thinlit die and the big shot and raised up using the foam strips (click). And that’s it. It was really simple but did take a little time – but fun! The yellow is Stampin’ Up! Daffodil Delight ink, by the way. This is a template that can be easily transferred to any Stampin’ Up! stamp set and with lots of color schemes! Enjoy! This entry was posted in Send a Letter a day! 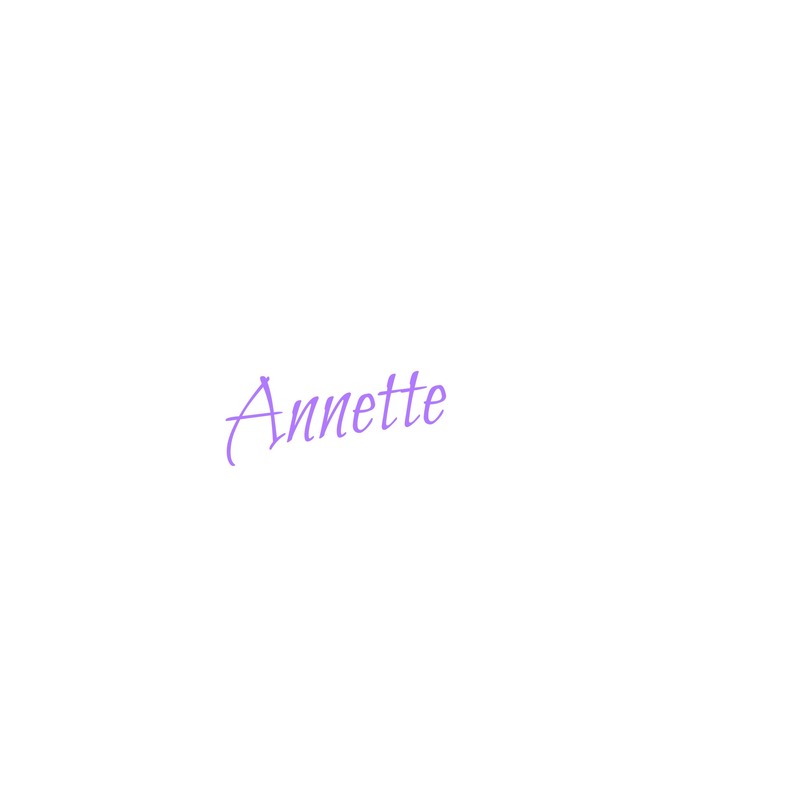 and tagged stampin' Up!.